Just ask West Coast. From the completion of Thursday's first round to the start of the rest of the draft on Friday, Eagles list boss Brady Rawlings' phone went into meltdown. Clubs came from everywhere for the Eagles' opening selection (pushed back to 23) with more time to re-assess who was available. Gold Coast's offer proved the best, the Eagles gaining picks 27 and 32, while parting with 23 and a future fifth-round pick. If the format remains the same in 2019, don't expect clubs who finish in the bottom four to be trading their second-round picks so easily. West Coast had the selection as compensation for Scott Lycett departing, but if no free agents are valued as highly as Lycett, it could be Adelaide kickstarting proceedings on the second day next year. The Crows did a deal with GWS to get a second-round pick, which was actually Carlton's after the earlier Will Setterfield transaction. If the Blues claim the wooden spoon again, the Crows could have pick 19. The 14 trades that went down across the two draft days far exceeded expectations in clubland, but it was the way they adapted on the run and some of the genius on display that could have a greater impact. Some believe it was a sign of the maturation of the industry, proof of how savvy the top operators are and almost a message of "You can trust us" to League headquarters. There is now a push to enable clubs to trade two years – rather than just one – into the future to enable more room for creativity (and as soon as next year), with another natural step being the inclusion of players in draft-day deals. The consensus among recruiters and football managers was the new set-up was more enjoyable and dynamic and challenged them instead of just sitting back and crossing off names. There is a feeling there will be even more trades in the 2019 edition. All clubs are set to review what went down and discuss the regrets and missed opportunities. Each club corporate suite at Marvel Stadium was fitted with a computer to execute each pick and a screen for the Fox Footy coverage. From there, they were left to their own devices. Some were left scrambling from Thursday into Friday chasing more equipment, while others operated with screens dedicated to their draft boards or where all future picks sat across the league. Each box was also fitted with a landline phone with numbers to communicate to the other rooms. Clubs quickly realised there was no caller ID when receiving calls, and they had no idea who was ringing. Instead, they reverted to using mobile phones – partly also by habit – with texts often the best way to convey a trade request, often with multiple picks involved. Most fielded 30 or more calls across the two days and some closer to 40. Essendon and Collingwood operated with six people in their corporate suite, whereas others like West Coast and the Western Bulldogs went with up to 12. However, many clubs with large contingents felt that didn't give them much – or any – advantage, with many individuals such as coaches and CEOs there mostly to observe. Fans should expect fewer rather than more people in clubs' war room next year, but still with clear roles: information gathering from agents and rival clubs, trade negotiating, monitoring of current and future picks and draft points, removing names from the draft order, and so on. A number of clubs are set for the biggest post-draft review they've ever done, where they will start preparing for 2019 as soon as this week. One thing that is tipped to come from the reviews is the need for more pick swaps in the period between the NAB AFL Trade Period and the NAB AFL Draft. This year there was just one, a dull exchange between Collingwood and Geelong, but clubs are now realising that may have been a missed opportunity for cool-headed trading. The downside? They won't know which players are sliding down the draft order. "We had him ranked much higher than where he fell." It's lingo we've heard from clubs for years, but for the first time we had tangible evidence of recruiting teams acting on draft sliders and landing them. Monitoring Liam Stocker's draft position, Carlton swapped first-round picks with Adelaide on Thursday night in order to gain pick 19 – and grab the midfielder – a player they rated inside the top 10. With their next pick not until 69, the Blues got aggressive and nabbed their man. On Friday, North Melbourne watched Curtis Taylor, a player tipped to fall in the 20s, continue to be overlooked before swapping a future third-round pick with the Western Bulldogs for pick 46 in order to get him. As with our first point, second-round choices in general are hot property in the live trading market. Clubs can identify players high on their draft board who are sliding – but who they know won't slip too far – and now have the ability to trade up and swoop. Sydney senior recruiting analyst Chris Keane was the mastermind behind the move to 'park' a second-round pick, only to (somewhat controversially) get one back after matching the Nick Blakey bid. Both deals were agreed upon pre-draft and ticked off by the AFL. It was genius, regardless of your opinion on whether it should have happened or not. On a related note, Adelaide appointed data expert Binuk Kodituwakku in February to pick apart the club's draft decisions. He was seen prominently in the vision discussing moves with list boss Justin Reid and senior coach Don Pyke mid-draft. Darren O'Shaughnessy, who worked at Hawthorn during its flag three-peat, has accepted a full-time role as a senior data analyst at St Kilda, while the Western Bulldogs are on the hunt for a list and recruiting analytics and innovation manager. The times, they are a changin'. "We thought we were prepared, but we really weren't." That was the feeling among several clubs contacted by AFL.com.au in the aftermath, with more live trading than expected. For every live trade that was executed, dozens of contact points were made with rival clubs to move up the order, or in some cases begin to trade out of this year's draft to begin preparing for 2019. Fourteen live trades were completed, with Essendon, Melbourne and Port Adelaide the only clubs not involved. There were so many trades involving future selections that some clubs lost track of which rivals had certain picks. It made for awkward conversations when requesting a future pick that a club didn't have, although some were armed with spreadsheets to avoid any confusion. Many live trades centred around accumulating points for club academy, Next Generation Academy or father-son eligible players. 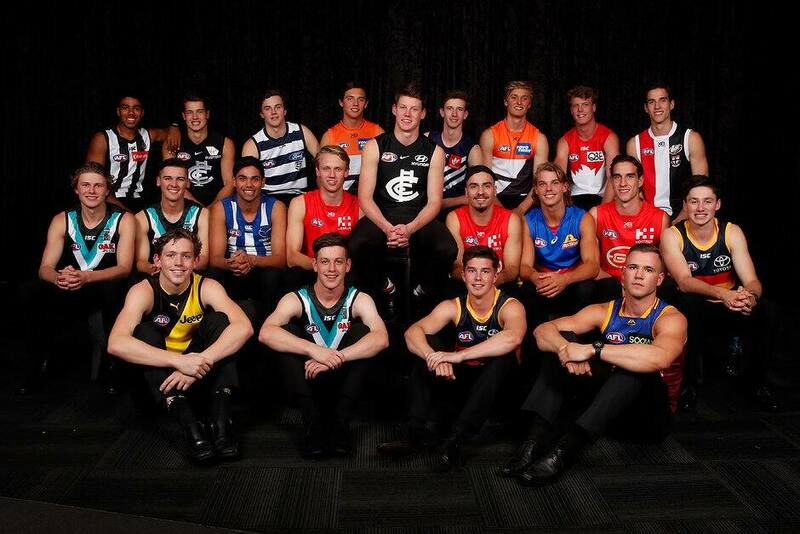 Seventeen of 78 players taken in the National Draft fell into one of the three categories, a mark that will be tough to top in the near future. The introduction of a two-day draft presented opportunities galore, including for the broadcast to move into primetime and some serious negotiating to take place once the first round ended on Thursday night. There were clubs that worked into the wee hours of Friday morning, while others struggled to register even a couple of hours of shut eye as they mulled what was to come. There were also a bevy of media commitments and functions with first-round drafted players to complete before they could begin to think about Friday's proceedings. With all that in mind, one post-draft suggestion was for the resumption of day two to start before lunchtime. Most of the wheeling and dealing took place the previous night, so an earlier day two beginning would allow interstate club staff to depart at a more reasonable time. Sydney was so happy securing Academy star Nick Blakey as a steal at pick 10 that they got to do it twice. In matching Greater Western Sydney's bid, the Swans were asked to repeat their process for the Fox Footy cameras for insight and access to the club's trading room. The result? A contrived Kinnear Beatson acting out their pretend conversation. You can't fault the access, and the Swans were only doing what they were asked, but live and on the spot may be a better alternative for 2019. There is a genuine willingness to play ball in this regard, obviously with certain restrictions in place. But you only have to look at Greater Western Sydney's post-draft video insight into their recruiting process to consider the possibilities.